3 days with dance is an invitation to spend some time in the company of three diverse works created by three promising choreographers with distinct approaches to their art. The pieces have in common a connection with dance history and the practices of others, whether as a starting point or as a light background. 31. januar – 2. februar / 19.00 / Lille scene / Duration: 45 min. Working artistically implies being in a context with the thinking and practices that others have already thought out and performed. This recognition is what grounds ABOUT, a new series of choreographic works initiated by Ann-Christin Kongsness. ABOUT is a framework for investigating possible relations between theoretical and performative aspects of an artistic work. To each session Kongsness invites performing artists to join her in a collective working structure and process that is defined by a set of common rules. To the first edition of ABOUT at Black Box teater Kongness has invited Solveig Styve Holte. Their investigation takes the form of lecture performance, a format in which something is said and something is done. By bringing theory onto the stage, the artists’ home field, Holte and Kongsness can use the poetic potential of this space to choreograph new connections between the theoretical and the aesthetic. Ann-Christin Kongsness creates and performs dance and choreography in different collaborations and constellations. As a writer she works with academic and poetic texts, and is editor of the online platform framtidsdans.no. Kongness organizes seminars, sharing platforms, conversations and reading circles. Latest Notes, in collaboration with Ingrid Berger Myhre, and Soft Manifesto, in collaboration with Marte Reithaug Sterud, premiered at Black Box teater in 2015. In Solveig Styve Holtes graduation project Lightness she explored how choreography can become manifest in different forms. She continued this exploration in Lightness: Fleire, which premiered at Dansens Hus in March 2017. She has also published several texts. Kongsness and Holte have worked together regularly since 2011. They are co-editors of KOREOGRAFI, a Nordic anthology of texts by dance artists. 31. januar and 1. februar / 20.00 / Store scene / Duration: 50 min. 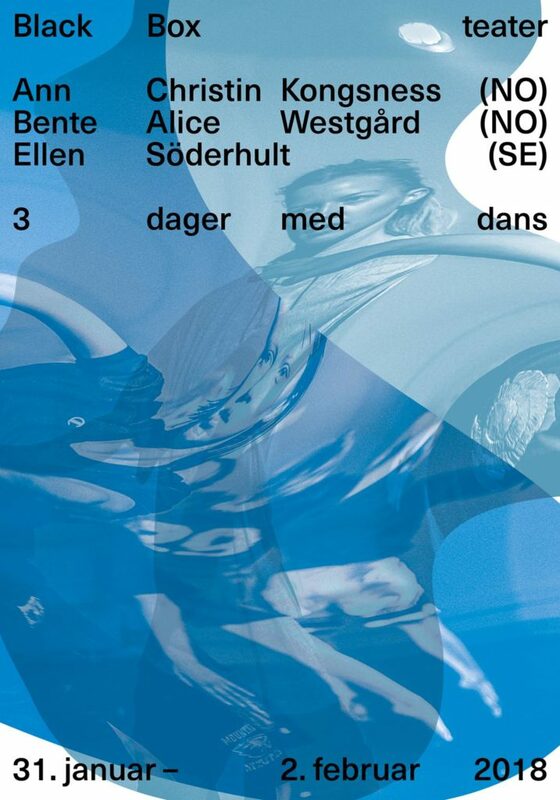 Choreographer Bente Alice Westgård developed Stars in a piece with no name as part of her master’s degree in choreography at Oslo National Academy of the Arts. The work explores how permitting oneself simply to be in a situation without any demands or expectations can serve as choreographic method. The dancers move between states of constancy and change, effort and ease, but always with an underlying sensation of momentum. Together with the dancers, the music, the space and the presence of the audience create different textures in a comprehensive choreographic composition. To create a situation for the material, Westgård needs first to experience what the material does to her. Her own practice as performer informs her choreographic work. Westgård studied at Oslo National Academy of Art, where she earned a master’s degree in choreography 2015-2017, and University College of Dance Art 2006-2008. She has been developing her own work in collaboration with dance artists and musicians since 2008, and has worked with other artists and constellations as dancer, performer and choreographer. 2. februar / 20.00 / Store scene / Duration: 40 min. How to do things with Romance features a vibrant constellation of women with an intense emotional energy. 15 dancers and two drummers throw themselves into an experiment in which ballet becomes a team sport and notions of romance are radically re-interpreted. The piece is inspired by the portrayal of love stories and athletic feats in the male-dominated industry of Hollywood films, where women are often objectified and represented as bearers of meaning rather than makers of meaning. Whether in the movies, ballet or music videos, romance is mired in stereotypes and norms that produce and re-produce specific desires and dreams. Taking its cue from the etymological root of dance and ballet, “ballein”, to throw, How do things with Romance willfully throws itself off balance and casts aside conventional ideas of romance, in order to re-purpose and perform it anew. Welcome to a riot grrrl-influenced, sporty punk ballet. Ellen Söderhult is based in Stockholm and works as a dancer, choreographer and writer. A strong interest in dance as a collective runs through her work. Recent works and collaborations include RUDY and THIS IS GRAND. Ellen has also performed in works by Simon Forti, Alexandra Pirici and Doris Uhlich, amongst others. In 2015 she initiated the project Nobody’s dance together with Eleanor Bauer and Alice Chauchat, a “copyleft” platform for practice exchange and knowledge production. Together with Maia Means and Chloe Chignell, she is editor-in-chief for THIS CONTAINER. Her upcoming project Shane et al. is a choreographic investigation of the choir as a collective protagonist. Artistic concept and direction: Ann-Christin Kongsness. Performance, choreography, text: Solveig Styve Holte, Ann-Christin Kongsness. Light design: Elisabeth Kjeldahl Nilsson. Sound engineer: Leo Preston. Illustration: José Luis Maldonado Quintero. 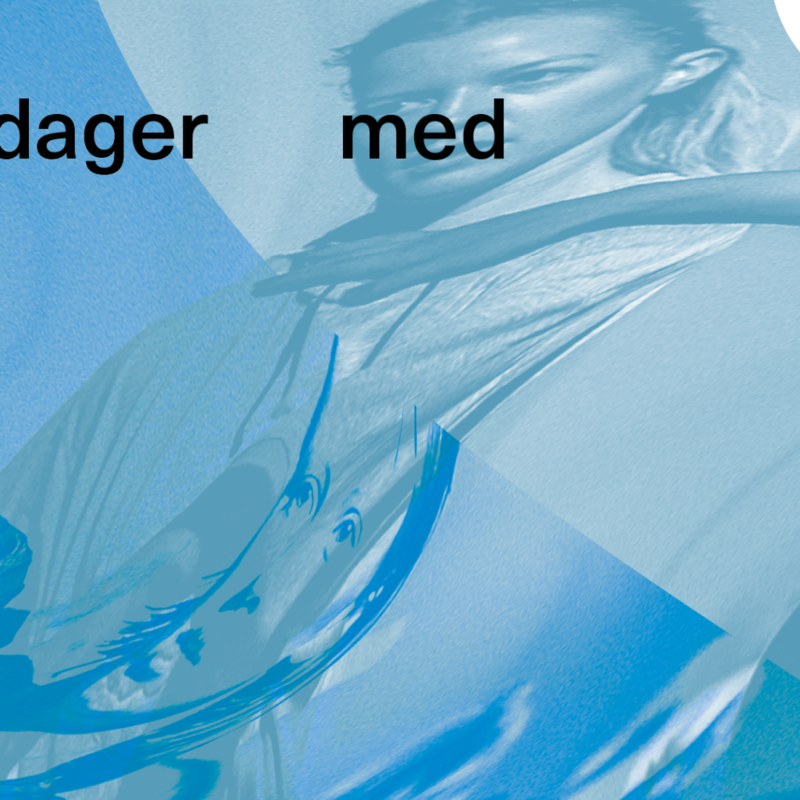 Graphic design: Ylva Greni Gulbrandsen. Production: Ann-Christin Kongsness. Co-produced by: Black Box teater (Oslo), FRANK (Oslo). Supported by: Arts Council Norway. Choreography: Bente Alice Westgård. Co-creating dancers: Rannei Grenne, Karen Eide Bøen, Håkon Vadstein, Julie Mjøen and Louis Schou. Light design: Martin Myrvold. Space and set: Martin Myrvold and Bente Alice Westgård. Costumes: Kristine Gjems and Bente Alice Westgård. Soundtrack: Hugo Hedberg and Bente Alice Westgård. Supervisors, master’s project: Janne-Camilla Lyster and Loan Ha. Support by: FFUK. Thanks to Mårten Spångberg, Bojana Cvejic, Eivind Seljeseth, Marie Bergby Handeland and Antony Aubert. Dansere / Dancers: Anna-Karin Domfors, Oda Brekke, Klara Sjöblom, Klara Utke Acs, Anna-Maria Ertl, Lisen Pousette, Anne Bontha, Elise Sjöberg, Lisa Schåman, Ellen Söderhult, Gry Tingskog, Tiia Kasurinen, Susanna Ujanen, Ida Arenius, Michelle Persson and Minna Berglund. On drums: to be announced. Costume design-embroideries: Chloe Chignell. Light design: Ronald Salas. Choreography: Ellen Söderhult. Special thanks to: Moa Autio, Eliisa Erivalo, Anna Pehrsson, Sanna Söderholm, Nicoline Persen, Nicoline Neidert, Halla Ólafsdóttir, Carima Neusser, Emma Strandsäter, Cissi Efraimsson, Josefina Pukitis, Emilie Brandt, Sarah Kebedech Ziebe, Amanda Blomqvist, Anna Grip. Supported by: Sveriges Kulturråd, Nordisk Kulturfond, Kulturkontakt Nord, Kulturfonden Sverige, Finland, Stockholms Stad.